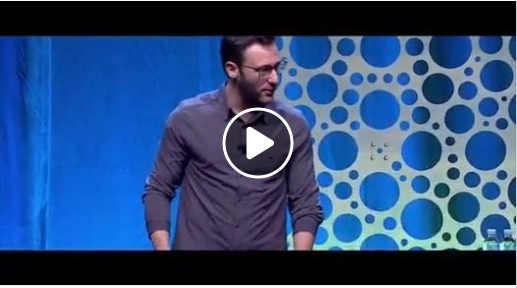 This Sinek/Kwik interview describes the damage smartphones are doing to our brains. Smart Phones, the icon of 21 Century life, are also a big problem for our bodies. Research discussing such issues describes increasing rates of workplace injuries, Gen Y’s entering the workforce already injured and children as young as 15 showing signs of pre-arthritic postures due to existing levels of screen use. As a trainer focused on health and wellness in modern work environments, I help clients set up smartphones at workstations to avoid the constant hyper-extension or neck rotation. The automatic and endless checking of phones increases the risk of necks and upper back pain and injury. As a trainer, am I enabling a behaviour that I believe is contraindicated as it may cause harm to the person? Yet my job is to provide knowledge and skills that decrease pain and the risk of injury for any work tool. Do I have a choice? Consultants are hired to provide a specific service, yet we see a wide range of issues that should be addressed to manage or avoid potential harm to the individual and the business. Should we be invited to provide a bigger health and wellness picture? “a change in design perspective from maximizing individual factors (i.e., physical, psychological, and purpose directed) into an integrated systemic perspective”. These are programs that consider the physical, emotional and intellectual (or spiritual) health of an employee. Programs built from an integrated systemic perspective considering the increasingly blurred boundaries between work and home when planning health management strategies. How does a consultant build this conversation? A single report or meeting to discuss training outcomes will not energize a time poor manager or build a community of in-house and external stakeholders. A community that must hold the knowledge, the skills to translate and deliver that knowledge as work procedures and skills, and individuals that can ensure the implementation of new procedures and address barriers to application. Please share your ideas and questions. My ongoing research will incorporate your ideas into my next post on this issue! Click here to book your FREE discovery call to see how we can help reduce pain and increase productivity in your workplace.